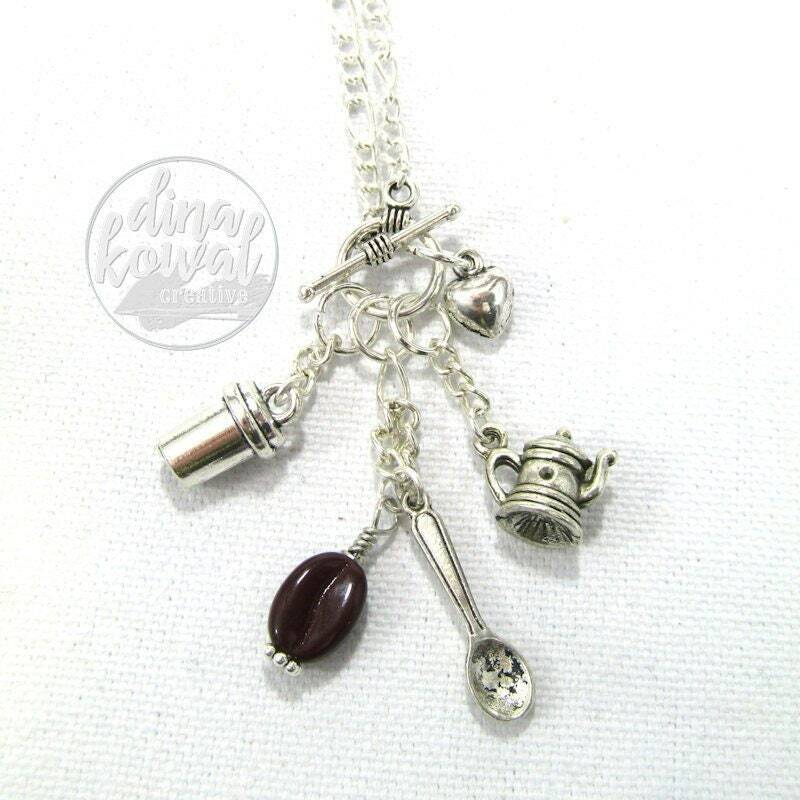 I love wearing these charm necklaces so I made a few to share! 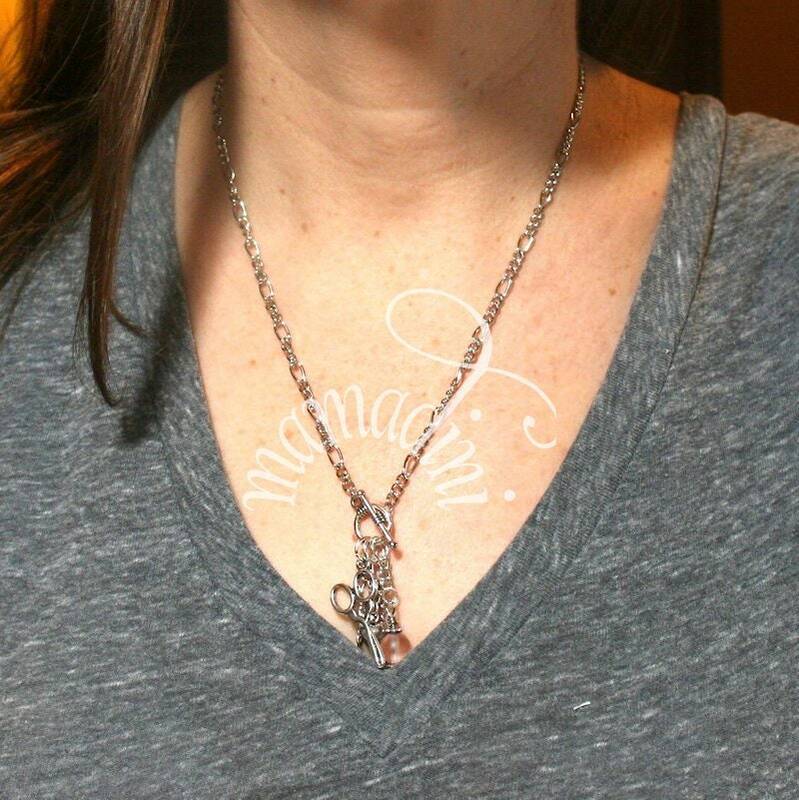 The chain length is 17", and the necklace fastens in the front with a toggle clasp. This one's perfect for a coffee lover.